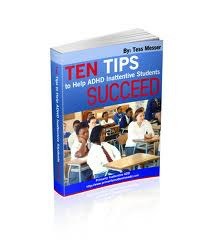 As many of you know I am trying to finish a fairly comprehensive book on non-drug treatment for ADHD. This book is non-drug help for all people with ADHD not just for people with the Inattentive Type of ADHD though I do go into what therapies work better for each of the different types. I just received a proof of one possibility for the book cover art. I would love to know what you guys think of it. If you hate it, please let me know. If you like it I would like to know that too. The book is is tentatively called Commanding Attention, Non-Drug Help for ADHD (I know, that is not exactly what this cover says). I am trying to reference most of what I discuss in this book so that people do not think that I am just a quack spouting out recommendations. Three hundred medical references later, I am getting close to completing it. The book covers this topic thoroughly but I thought that I would post a very short answer to this question. Exercise, outside not in a gym, at least 30-40 minutes 4-5 days a week. Melatonin if cannot fall asleep within 30 minutes of turning out the lights. A healthy diet avoid all junk food, diet. Have her take an adult multivitamin. Have her take an Omega-3 fatty acid that has at least 750mg of EPA. Get a product called MorEPA capules. Have her take two a day for a minimum of 8 weeks. Try caffeine, Ginseng and/or a product called Bacopa Monieri. If she is motivated enough to do it, try biofeedback (you can get an affordable program-send me a private email and I will send you the info on a program that can be done at home for under $300.00 but do not waste your money if she is unlikely to do it). Try Luminosity cognitive brain training. It is $6 a month and if she will do it, it well worth it. These are my Inattentive ADHD non-drug recommendations in a little tiny nutshell. Email me with questions or comments. 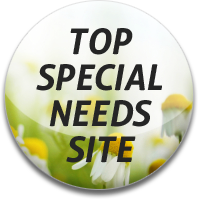 If you go to the search bar of this web page and type in any of the keywords of my recommendations (eg Bacopa, Cognitive training, diet, etc) you will pull up lots more info on these topics. Thanks for your support and thanks, in advance, for giving me your opinion on the cover art for the book. I have a combo of Inattentive and Hyper. If I think, about having to do certain things at least 3 times, like generate enough income or get things organized. I might as well do them (as long and slow as it takes0 rather than building more stress/anxiety and despair..That is the way it is and will be. Get a few things done and you feel positive & better. I agree, getting a few things done goes a long way! I like the cover art and I like that title better. I like the cover, but I am a little confused as to what the picture is trying symbolize. It looks like the person is building a model of a molecule in chemistry class. Is that supposed to represent science since the title is the science of non-drug ADHD treatments? At first I thought it represented someone solving a molecular puzzle as a metaphor for someone trying to solve the rittle of how to treat ADHD with non-drug interventions. Either way it's pretty good. I will check with one of my friends who has an eye for this kind of stuff. I was looking at covers and I really like Dr. Barkley's covers. The pictures are smaller and he has more sentances on the cover that get you hooked on the book before you even turn the page. That is just personal preference so don't be offended. I saw other covers on Amazon that were similar to yours that sold well as well. I noticed on front of his taking charge of ADD, he had a review from someone respected in the adhd field. That is always a possibility if you could get a nice review on the front or back cover. I like the cover and I think the picture represents a kids working on his chemistry but I agree that not everyone will get that right away and something less hard to get might work better. How would caffeine help with ADHD? What is MorEPA and how would this help? I've been diagnosed with this recently and I'm trying to learn everything I can about resources that will help mitigate this problem. Thank you." Sorry but I don't really like the cover picture and I prefer your heading (Commanding Attention, Non-Drug Help for ADHD)I think that your heading is more self explainatory for someone looking for non drug help. I was also a little confused by the picture. I think it could also be a little simpler?? Sorry!! You asked for all comments :) I found your blog about six weeks ago when my son was diagnosed as inattentive ADD and have been looking for non drug help. Thanks so much for your comments. They are EXACTLY what I need. It seems like the cover art is confusing to some given my current title and either I change the art or I change the title. This helps a lot!!! Emma, MorEPA is an Omega-3 supplement. You can find out how and why this helps by reading several posts that I have written before. Go to the search bar under the Wellshere Award on the right hand column and type the words "Omega-3 fatty acids" or the word "Coffee" to read about these topics. For the purposes of the book, I wouldn't say that I liked the cover. The image is relevant, I suppose: A child constructing a figure that would require concentration and focus. However, it looks more like a university textbook to me. Thanks Carl, I actually not thought of the concentration aspect of the graphic but I have gotten about 8 personal emails from folks that either really like the cover (it is colorful, it is related to learning...) or really hate the cover (what does it mean? It is too busy! It is too complicated...) I love learning about all of these views and it really helps me see what is good and bad about this particular cover art. Yes, I agree that the cover is too busy. I would say crop it on the left and upper sides so that just the hands and the molecule are visible, then make it a little bit smaller. Definitely get rid of the out of focus arm. One thing that threw me off was the hands are big so thought it was an adult, but now that I think about it adults have add as well so that's fine. I am just used to seeing young kids on the cover. Also, you say non-drug twice on the cover. You could say A medication-free approach to treating ADD. Well medication-free is kind of long. You could always use the scare tactic to get people interested in your book. Say some of the negative effects these medications can have on the back cover: they raise your blood pressure and heart rate, dry mouth can ruin your teeth, abuse risk, no long term studies have been done and it's just better to try non-drug methods first rather than put your 5 year old kid on an amphetamine immediately. Getting on a proper diet may alleviate the add symptoms but it also reduces your risk for obesity, diabetes, heart disease, stroke, and a plethora of other diseases as well.